Provide comfort for the family of Miss Adèle Levaire with a meaningful gesture of sympathy. 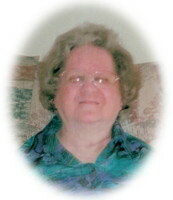 Miss Adèle Levaire, age 74 years, passed away peacefully in Southbridge Lakehead on Wednesday, April 3, 2019. She was born September 24, 1944 in Hearst, Ontario. Adèle is survived by her sister Shirley Johnson and brother Daniel Levaire; niece Cynthia (Jim) Roukema and their children Amy and Jordan; nephew Derek Johnson (Kerrie) as well as other relatives. She was predeceased by her parents, Alex and Gertrude Levaire. Cremation has taken place and a private family interment will be held in St. Andrew's Cemetery at a later date. Arrangements have been entrusted to the Westfort Chapel, 420 West Gore Street at James. To plant a memorial tree in honor of Miss Adèle D Levaire, please visit our Heartfelt Sympathies Store. We encourage you to share your most beloved memories of Miss Adèle here, so that the family and other loved ones can always see it. You can upload cherished photographs, or share your favorite stories, and can even comment on those shared by others.